Dr. Max Ghalambor, a practicing orthopaedic surgeon, is the chief consultant of the Step II and III curricula. 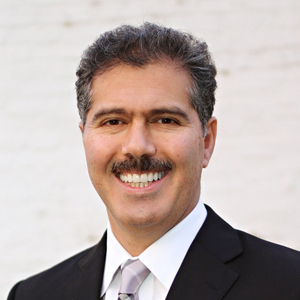 Dr. Ghalambor is a graduate of the Wayne State University School of Medicine, with a unique well-rounded background that among others includes two engineering degrees in mechanical and aeroscience from the University of Michigan. Dr. Ghalambor’s contributions to Northwestern Medical Review students’ success stories originally began in the early 1990s with his superb conductance of live MCAT and engineering licensure programs, but it was later consolidated into the enhancement of Northwestern orthopedics, radiology, and musculoskeletal system curricula.